You’ve finished your last video interview and your hiring team has finally decided on just the right candidate for the job. You’re excited for the prospect of your company gaining a new top-notch employee. But what about the other great candidates you’ve left behind? As you know, it’s a best practice after you’ve hired to inform the candidates you passed over that the position has been filled. While awkward, it’s essential in order to maintain good relations and build up your company brand. You don’t want disgruntled candidates running around town, talking about how rude your company is for never informing anyone of your decision. You also don’t want to burn bridges with candidates who might be potential talent for your company down the line. But what if a polite email isn’t enough for the candidates you connected with in the video interview? What if they want feedback in order to improve their interview performance in the future or understand why you went in a different direction? This can be sticky territory for employers and hiring managers. You don’t want to step on any toes, but you do want to give candidates workable advice they can actually use to grow. The most important tip here is to be polite. Maybe you didn’t consider the candidate because they were sweating through their sensible business attire and you could tell, even on the other side of the webcam. Maybe you found their personality grating and thought they would be a horrible fit for your company culture. There are plenty of reasons hiring managers reject candidates that might sound harsh if you just blurted it out without any finesse. Don’t be rude, because these job seekers can easily become brand ambassadors while conversing with others about their experience at your company. You want them to look positively on their experience, even if they didn’t manage to snag the job. Make sure to word your advice and feedback in a delicate manner so you don’t step on any toes. Don’t avoid giving real feedback, but don’t tell a nervous candidate they were a ‘hot mess’ either. 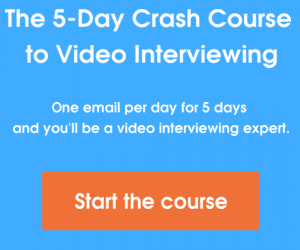 If a candidate comes to you for feedback after a video interview, don’t avoid the question. Be polite but realize the job seeker is asking you in order to improve their performance. If you avoid the question, you might spare the candidate’s feelings, but they will probably walk away from the interaction feeling let down. Instead, focus on tangible ways they can improve their performance for the next job interview. For instance, maybe they were far too general when you asked about their experience or qualifications. You might want to advise job seekers to focus on more concrete examples of how they’ve brought value in the past. To avoid hurting feelings or getting too personal, focus on tangible advice that will help them nab the next job. Telling job seekers they were great but just not the right person for the position might seem like the best way to handle an uncomfortable situation. But it’s also cliche and you can be sure job seekers will spot an overused cliche. Much like breaking up with someone by saying “it’s not you, it’s me,” job seekers will be able to spot an overdone hiring cliche. Take a second to think about what kind of feedback you can offer and then give real advice, not just a few motivational sayings. It might seem uncomfortable, but giving real feedback to job seekers can be a great way to improve their view of your company. Now in addition to being a great place to work, you’re also providing advice to help job seekers improve their interview skills. This can pay off in some good karma for your company, and come good word-of-mouth too. What are some ways you provide feedback to candidates after a video interview? Share in the comments! How Do I Video Interview…Generation X? How Do I Video Interview…Millennials?